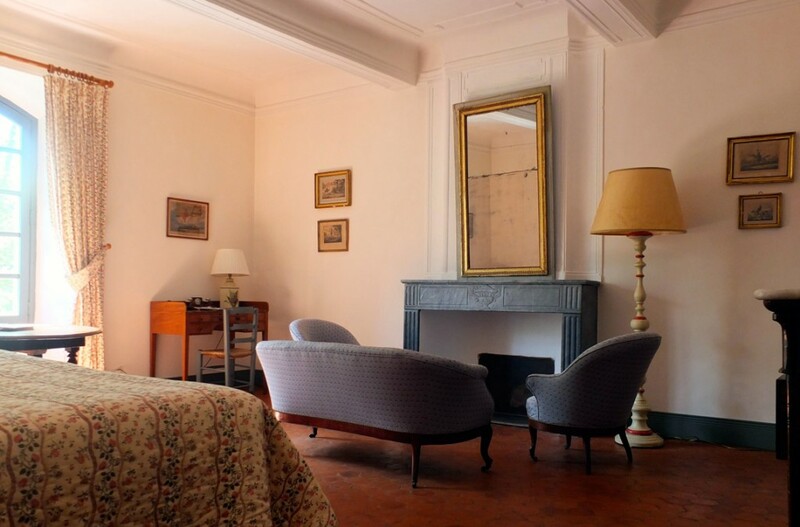 We offer a choice of three flat in a chateau in Provence, each with its own character. 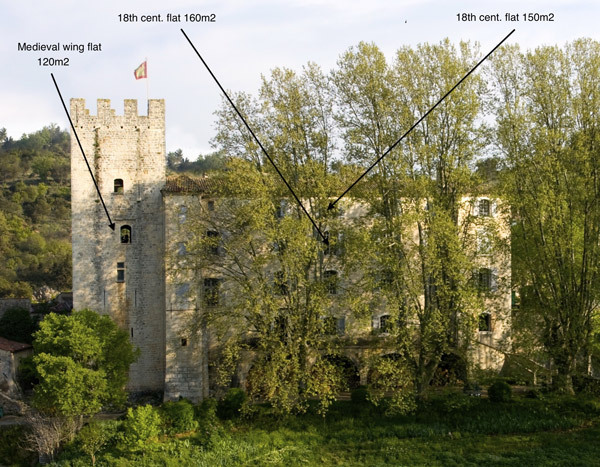 One, within the massive stonewalls of the medieval part of the house, includes a garden room in the 13th century tower, while the other two each take up a floor of the 18th century wing. All three are equipped with wifi, television and DVD player, dishwasher and loundry machine. 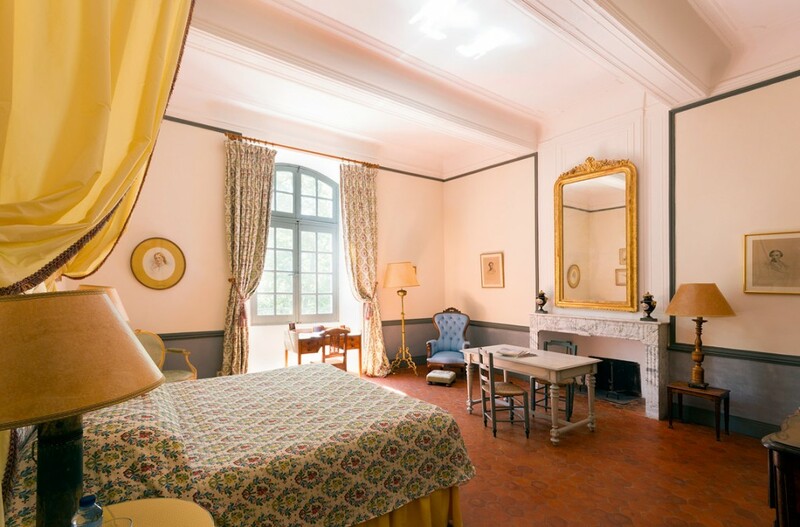 The rooms are high-ceilinged and airy and prettily decorated with original furniture, comfortable beds and characteristic provençal ‘tommette’ tiled floors. These, along with the thick walls, help to keep the rooms pleasantly cool at night. 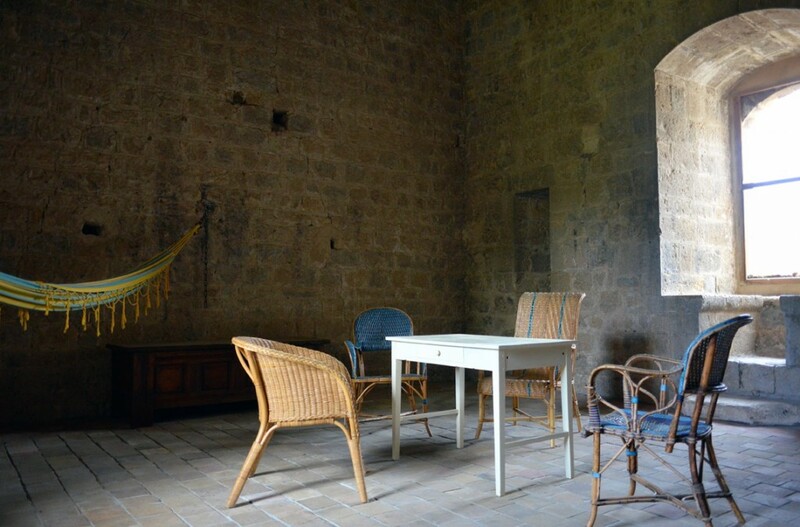 Shaded rose garden, garden furniture, barbecue, ping-pong table at your disposal. Cleaning supplement: minimum 100€ for 4 hours cleaning. 25€ per extra hour. 20% advance to be paid by secure online payment on reservation. 80% payment two days before arrival. Deposit blocked on credit card for possible damage and cleaning: 500€. Deposit to be released within 30 days minus cleaning cost and possible damage.